Do you like chicken feet? Breakfast in bed or dining? Who wants to eat this pizza with me? Do you like fettuccine Alfredo? What was the first alcoholic beverage you've ever drank? If you drink, what drink do you usually order? I actually tried these one time thinking “ehh why not, I’m curious.” It turned out to be pretty bleh. As one would expect, there isn’t exactly a lot of meat on chicken feet. It’s basically just a layer of rubbery skin and bone. The seasoning was fine, but it certainly isn’t something I’ll order again. No! They always remind me those were the legs of a live chicken, so I move on to my veggies. In Korea, we eat chicken feet but it does not look like that hahah. Yes, but not these days. It is like eating for fun. Aww hell no! People fr eat chicken feet? I prefer chicken legs. Never tried chicken feet and don't plan on trying them. Never tried. Does not look appealing. Yes its cute but not on food. Can't say I've ever tried them, no. I don't like any feet! I guess I'd give it a go. they never looked good enough to eat. You mean on a girl? Yeah, they just like chicken lol. No but i like chickenheads. meat is murder, people that eat meat should be jailed. Relationship Advice Everyone Needs To Know! 10 Benefits to Why a Girl Shall Stay Virgin Until Marriage! A Justification for the Criminalisation of Tobacco! How to Increase Your Overall MHO Percentage on GAG (Second Edition) Why be insecure? 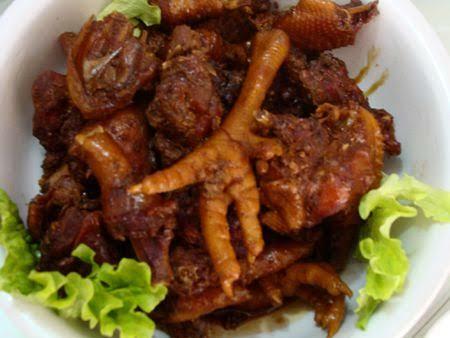 Home > Food & Beverage > Do you like chicken feet?